Chowing down on some fresh veg and fruit is the foundation of getting our required amounts of vitamins. But the body needs to distribute the vitamin goodness to all parts of our bodies and only some goes to the skin. 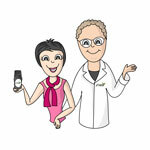 Regardless of how much we ingest it is impossible to target specific areas of concern like eye wrinkles and age spots. So applying lotions and potions with the right vitamins to our skin can bring fantastic results. Without getting into a game of ‘my vitamin is better than yours’ (as all have their benefits), here are ones that have been tried and tested and proven as the best vitamins for skin. If it was a boxer it would be the best pound-for-pound fighter in the world. Vitamin C lightens, tightens, brightens and clears. It is essential for collagen production and the antioxidant powers sweep up those pesky free radicals and repair sun damage. There are many forms of vitamin C but only some work in skin care products. Avoid products that use ascorbic acid as it is pretty much useless in a cream. Look for Ascorbyl Tetraisopalmitate which is the best (but rare because it is the most expensive). For a Vitamin C hit check out the Raindrops On Roses Hydrating Tonic and Perfectly Happy Light Anti-Oxidant Cream. The (coming soon) Happily Ever after Eye Serum will have both Ascorbyl Tetraisopalmitate AND Kakadu Plum – woohoo! Vitamin E is a staple amongst skincare aficionados and the default recommendation by GPs when they give skin advice. It’s easy to see why because Vitamin E heals, repairs, protects and moisturises. Unfortunately some products exploit this by using Vitamin E with plenty of other rubbish. Vitamin E sorbolene cream is a perfect example. They can also use a synthetic version which is not as good. If the ingredients list labels it as dl-tocopherol than it is synthetic. You want to use products with Tocopherol (as gamma and alpha are the best versions). Many plant oils are high in Vitamin E like Argan, Macadamia, Jojoba and Avocado oil. They are a great way to get Vitamin E as it is in its natural complex form. For a dose of Vitamin E check out the TLC Intensive Repair Oil, Good Vibes Omega Facial Oil and Laugh Out Loud Active Jojoba Oil. Usually you talk about the B vitamin complex but today we are putting the spotlight on B3 or Niacinamide. Anything sounding in ‘ide’ sounds suspicious but Vitamin B3 is starting to get some real attention for all the right reasons. It has been proven to boost the production of ceramides and fatty acids which are important in keeping your skin’s protective barrier (acid mantle) healthy. We know we bang on about keeping the acid mantle healthy for great skin but it really is fundamental. Vitamin B3 also reduces redness and boosts hydration. The ‘coming soon’ Happily Ever After Eye Serum and Over the Moon Rich Repair Cream will both be delivering the benefits of Vitamin B3. This is the gold standard vitamin amongst dermatologists for anti-ageing. It lightens pigmentation, increases cell turnover, minimises wrinkles and smooths roughness. We don’t use vitamin A even though many experts advise with conviction that everyone should have a vitamin A product. Why don’t we when it is such a superhero? Because most Vitamin A is synthetic and this doesn’t meet our 100% natural mission. It can also be very irritating to the skin and you need to be careful using it. Too much is a bad thing and that is why by law the maximum percentage used in cosmetic products is 1%. You can get higher concentrations with a prescription from a dermatologist. Those who are pregnant or breastfeeding should avoid Vitamin A because it can have ill effects on bub. This is one Vitamin we like to add through oils and extracts that are high in beta carotene. The body converts beta carotene into Vitamin A which isn’t as concentrated as a retinol but much safer. Apricot Kernel Oil is one of the best sources and it will be one of the ingredients in the Happily Ever After Eye Serum (coming VERY soon!). You can also get a dose of Vitamin A from the TLC Intensive Repair Oil (from avocado oil) and Good Vibes Omega Facial Oil (from sea buckthorn oil). The post The Best Vitamins for Skin appeared first on Happy Skincare.